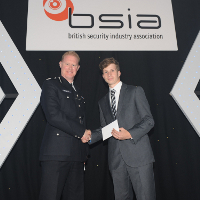 Security companies are being encouraged to submit nominations for this year’s British Security Industry Association Apprentice Installer Awards ahead of the final deadline of Friday 11th April. Open to second and third year apprentice installers from across the security industry, the Apprentice Installer Awards recognise emerging talent within the sector and will be presented in a high-profile ceremony at the BSIA’s Annual Luncheon, taking place on 16th July 2014 at the London Hilton on Park Lane. Nominations are welcome from security companies which have been certified for their activities by a UKAS accredited certification body, although individuals can also be nominated by the college where they are studying.Apprentices are eligible if they are involved in the installation of alarms, access control, CCTV or a combination of these systems. Last year’s winners, Ryan Jenkins, 23, and Jack Finley, 17, were chosen for their technical ability and dedication to learning, with both delivering excellent service to the customer while demonstrating the drive, ambition and commitment to their studies required to succeed in a career in security. They were presented with their awards by Commander Steve Rodhouse, Commander for Gang and Organised Crime for the Metropolitan Police, at the Association’s Annual Lunch in 2013. 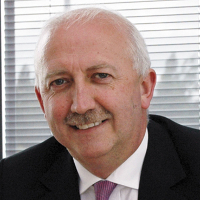 James Kelly, Chief Executive of the BSIA, comments: “The BSIA and its members are proud to support the development of apprenticeships within our industry, acknowledging the important role played by these schemes in offering positions to young people who wish to gain practical skills and knowledge alongside a recognised qualification.